OLC is going to Alaska to meet with online learning professionals, educators and administrators to address the opportunities and challenges we all face in online higher education today. Join your fellow digital learning education professionals, educators and administrators to hear from the experts and collaborate on solving the challenges we all face in digital education today. You’ll get the chance to hear from experts regarding current and emerging trends focused on the convergence of teaching, learning and technology. 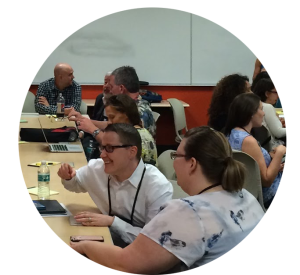 There will also be an opportunity to collaborate and network with your regional peers during group discussions on top-of-mind challenges that may impact the future of digital learning. Our two-day event is only $250* for OLC members. Membership discount applied upon registration. Lunch is included in registration fee. *A $50 fee will be charged for all cancelled registrations. Refund requests must be made in writing to Online Learning Consortium. Cancellation by July 17 (up to 1 month out): Refund of payment minus the $50 cancellation fee(s). Cancellation between July 18 and August 13: 50% refund will be issued less a $50 administrative/cancellation fee for registrations. There will be no refunds within 1 week of event date (cancellations must be received by August 13, 2017). If you are not able to attend, a substitute may attend in your place. The name, title, and email address of the substitute must be emailed to conference@onlinelearning-c.org. If you do not attend the program and do not submit a written refund request, Online Learning Consortium will retain all fees. IF you have not paid in advance but have cancelled your registration, you are responsible for the cancellation fee and will be billed. OLC is not responsible for any change / cancellation charges assessed by airlines, travel agents, hotels or other similar vendors. Email all cancellation requests/substitutions/ registration questions to conference@onlinelearning-c.org. Non-member fee is $350*. You will also receive a free, three-month OLC professional membership as a part of your registration so you can get to know OLC and our community better! Details will be emailed post-conference. Lunch is included in registration fee. 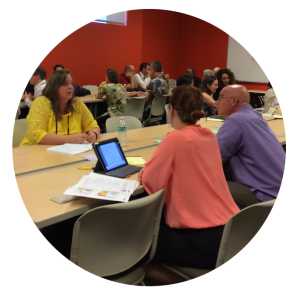 Collaborate presentations will be followed by facilitator-led discussions that will allow participants to delve into each topic in greater detail. Renee leads Higher Education Strategy at EdSurge. She has worked on many levels at colleges (including at UCLA and Stanford University) and previously co-founded an edtech company. Her favorite resume moments include serving as a student advisor both in the US and abroad, and working to establish General Assembly’s San Francisco campus. She holds a Master’s in Human Rights Education from the University of San Francisco and a BS from California Polytechnic at San Luis Obispo, as well as a series of certifications in design thinking, product management, and partnership development. After traveling and teaching through over 40 countries, she believes in *food* as therapy and that there is no better way to bring people together than a home-cooked meal. Vanessa Peters, Ph.D., is an Education Researcher at SRI International’s Center for Technology in Learning. Her research focuses on how emergent uses of technology can create opportunities for teaching and learning, particularly in science. Peters applies an interdisciplinary lens to her work, and has extensive experience with design-based, mixed methods, and qualitative research approaches. In previous work, she has studied Web 2.0 technologies for science learning, scaffolding designs for supporting collaborative inquiry, and student practices in asynchronous online courses. Prior to joining SRI, Peters worked as Project Manager for the Center for Essential Science at the University of Michigan, Ann Arbor, where she led an interdisciplinary climate change education research team. She has completed a B.A. in Applied Linguistics from Brock University, Canada, and an M.A. and Ph.D. in Learning and Instructional Technologies from the University of Toronto. Emily joined Tyton Partners in 2014 as a Principal in the strategy consulting practice. Prior to joining Tyton, Emily was a 2012–2013 Education Pioneers Analyst Fellow at the Achievement Network. The fellowship is part of a national program that places talented early-career professionals into leading education organizations. Emily’s interest in the education sector began during her three years at the International Finance Corporation, the private sector arm of the World Bank Group. There she was part of the education and health team, working on the evaluation of new investments in education and healthcare companies and supervising a portfolio of existing investments. Emily’s education investment projects took her to China, India, Singapore, the Philippines, Indonesia, and Brazil andp provided exposure to clients across the K–12, higher education, corporate training, and education technology sectors. Emily earned a BBA from the Stephen M. Ross School of Business at the University of Michigan, graduating with high distinction. Nori Barajas has worked in education for over 25 years as an educator, faculty developer, and grant specialist. In her current role as the Director of Grant Projects for the Online Learning Consortium (OLC), Nori is responsible for all aspects of the Digital Learning Innovation Award (DLIAward). The DLIAward recognizes institutions and faculty-led teams whose successful courseware initiatives drive innovation in the field. Prior to grants, Nori worked in faculty development and digital scholarship. Her research interests include the pedagogical best practices in online synchronous learning environments, factors influencing digital textbook adoption and has developed a digital text taxonomy advancing the transformation of adaptive and responsive course content. A salt collector, desk dancer, and seven-year educational technology veteran, Kristin’s favorite job before iF was working on games and software to teach struggling students how to read and do basic math. No wonder she has a passion for education, growth mindsets and instructional design. She seasons iF teams with her user-centered vision of innovation in technology, and fresh mango with black flake salt. Little known fact: An expert doodler, Kristin invented the game Collabradoodle. If you have five hours to spare, ask Ilona about math reform. A passionate supporter of education and the arts, Ilona puts her mathematics degree to use at Intentional Futures through education research, analysis, and presentation. Before coming to iF, she studied everything she could find, sold violins at a music store, and made up songs about traditional Ukrainian food. Little known fact: Can come back from a parry with a solid high-line riposte. Join this hands-on session for a guided deep-dive into the unique problems your campus is trying to solve. Leveraging research, data and the EdSurge product index, you’ll walk out with a defensible method to evaluate and choose student success tools for your campus. Building a sustainable eLearning culture is multi-faceted. Organizationally, what administrative policies (e.g., financial, tenure and promotion, teaching load, IP ownership) are conducive to building a culture of eLearning? Building quality learning experiences is reliant upon faculty. To this end, what type of faculty support services are essential to building a culture of eLearning? Participants will consider the following: learning design, use of media, ADA, teaching load, best practices, and beyond. With greater emphasis today on student success, what type of student experiences, expectations, and services are essential to building a culture of eLearning? This session will focus on the areas of personalization, immediacy, flexibility of course offerings, access to faculty and staff, and more. Today’s higher education institutions are tackling an array of challenges from waning state funding and calls for greater accountability to overcoming issues of access for all learners. At the same time, these institutions are embracing transformative opportunities aligned with their vision and mission. In a recently released study of chief academic officers (Jaschik and Lederman, 2017), Inside Higher Ed asked provosts about strategies on which they plan to increase emphasis. Eighty-two percent said expanding online programs and offerings was such a strategy. Provosts at public institutions (86%) were more likely to respond this way than those at private institutions (77%). Building, sustaining, and growing a culture of eLearning on a campus is multi-faceted. This session will unpack those realities through a number of different lenses. Dr. David R. Cillay is the Vice President for Academic Outreach and Innovation for the WSU Global Campus. As part of his role, he oversees WSU’s online degree program, the digital academy, global campus connections, eLearning services, and the conferences management unit. Dr. Cillay is nationally known as an expert in the field of instructional design and elearning. He has been published in journals and textbooks, and has presented at national and international conferences. He started at the Center for Distance and Professional Education in 2003 as director of instructional development and technology and has been responsible for the design, development, and maintenance of online courses/programs scheduled for delivery through CDPE. Under his leadership CDPE evolved into the Global Campus—the fifth campus in the WSU system. He also has instructed and managed a graduate program in instructional design. Dr. Cillay’s academic background includes leadership roles at WSU’s Educational Telecommunications and Technology unit and at Lower Columbia College. He held faculty appointments at WSU, University of Idaho, and Lower Columbia College. Dr. Cillay holds a Ph.D. in educational leadership from WSU. Engage in a strategic discussion about institutional readiness and program requirements for campuses considering implementing a textbook affordability initiative. What partnerships need to be in view? 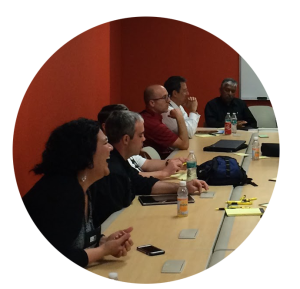 Learn, share, and discuss how to create OERs. Strategies range from sharing within a department, to providing repositories or publishing open textbooks. Participants will discuss textbook affordability objectives as well as the feasibility and benefits of different assessment methodologies for acquiring evidence of the impact of textbook affordability initiatives. Consideration of online tools and resources for outcomes analytics will be included in the session. This talk focuses on a set of high-impact strategies to support student and faculty success with hands-on faculty workshops, and with promoting digital scholarship and open access publishing services. The presentation will provide useful ideas that draw from CSU’s Affordable Learning Solutions and from experience developing the Open SUNY Textbook initiative, Humboldt State University Press, and HSU Sustainable Learning faculty workshops, a campus collaboration of librarians, instructional designers, and the bookstore; part of the CSU Affordable Learning Solutions program. Attendees will hear some practical tactics faculty, librarians, instructional designers, and others contribute to making higher education more affordable, scalable and sustainable. Cyril Oberlander is the Library Dean at Humboldt State University, a California State University campus, since July 2014. Previously, he served as the Director of Milne Library at the State University of New York at Geneseo since 2011, and as the Principal Investigator of the Open SUNY Textbook Project, a multi-institutional, $120,000 grant and library funded open textbook publishing initiative. Prior, he served as the Associate Director of Milne Library at SUNY Geneseo and as an internal consultant to the IDS Project, a 75 library cooperative in New York, since 2008. Prior experience includes: Director of Interlibrary Services at the University of Virginia Library from 2005-2008; the Head of Interlibrary Loan at Portland State University from 1996-2005, as well as various roles in Access Services at Portland State University since 1987. 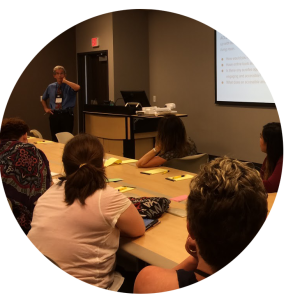 Cyril Oberlander has more than 25 years of academic library experience and over 10 years of experience as an independent library consultant. As a consultant he has worked with a variety of public, academic, and special libraries, providing workflow and space use analysis, as well as effective technology and innovation integration. His extensive scholarly record includes more than 26 published articles and over 100 presentations at the state, national, and international level. Cyril Oberlander is an experienced and innovative leader in libraries, committed to and passionate about creating a vibrant and positive role for libraries and higher education in the 21st century. In this presentation, we will share promising examples of digital learning from diverse institutions across the US. Digital learning isn’t being used to drive more students through courses– it is being used as a tool to meet the student’s needs of flexibility, access, and support. We will focus on student-centered learning and using technology to support better teaching practices, better interventions, and better feedback for students. Adaptive platforms, OER, and active learning are just a few of the examples herein that we’ve included to show how high-tech and high-touch scaled digital learning can be. An increasingly popular phrase in education circles, ‘Personalized Learning’ conjures very different images in the minds of K-12 teachers and curriculum specialists, higher education faculty and administrators, education technology developers, and especially today’s students. In the gap between our present-day teaching practices and a future with better data-informed instruction that is tailored to the needs of individual learners, educators and institutions struggle to make sound decisions about pedagogical reform, content adoption, and technology use. Join Meaghan Duff as she discusses the variety of approaches postsecondary institutions are using to personalize learning and shares her perspective on how education technology products may evolve to meet the needs of contemporary college students and their instructors. For the past year, Dr. Duff has been working with large public research universities to implement adaptive courseware, one form of personalized learning, at institution scale in high enrollment, introductory-level courses. Participants in this session will learn how these schools are engaging faculty in efforts to personalize learning and supporting them through the process of changing their approach to classroom instruction, selecting digital tools, and measuring the impact on student performance. Following the presentation, Dr. Duff will facilitate a conversation with the audience guided by participant questions and comments. EDUCAUSE is a nonprofit association whose mission is to advance higher education through the use of information technology. EDUCAUSE members include more than 1,650 U.S. and 264 international colleges and universities in 45 countries, 76 not-for-profit organizations, 350+ corporations and 19 K-12 institutions. EDUCAUSE serves a wide variety of education professionals, including CIOs, IT leaders and managers, faculty, instructional designers, librarians, institutional researchers and other leaders across campus, such as business officers, provosts, presidents and chancellors who recognize that IT is a strategic asset. As Senior Director of Professional Learning, Dr. Meaghan Duff provides strategic direction and oversight of EDUCAUSE learning and professional development activities and resources – including conferences, institutes, and online programs – to build the capacity and capability of higher education IT professionals. With a thorough knowledge of both learning and social collaboration technologies, and in partnership with the EDUCAUSE Professional Learning team, she develops new learning strategies and relationships that deliver value for EDUCAUSE and its members. Prior to joining EDUCAUSE, Dr. Duff worked at the Association of Public and Land-grant Universities and Blackboard Inc. Her mission is to provide professional educators with the technology and support they need to deliver transformative and sustainable instructional services for all the learners. Day 1 sessions vary in length. Day 2 Collaborate General Sessions are 45 minutes long, followed by 45 minute Collaborate Breakout Sessions. All sessions are held at University of Alaska Anchorage and are in Alaska Daylight Time (AKDT). Please be sure to RSVP for the Monday evening reception during the registration process. Time to celebrate! Join friends of the Bill & Melinda Gates Foundation’s Postsecondary Success initiative on Monday from 4:15-6:15pm for a reception at the University of Alaska Anchorage Planetarium & Visualization Theater. Attendees will enjoy great food, good drinks, and two theater showings highlighting some of Alaska’s greatest sights (seating is limited and on a first come, first serve basis). Capitalize on this opportunity to get to know partners from the Digital Learning Solution Network, and experience a little bit of Alaskan fun! 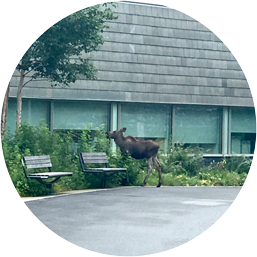 Joining us for OLC Collaborate? Come directly to University of Alaska Anchorage. 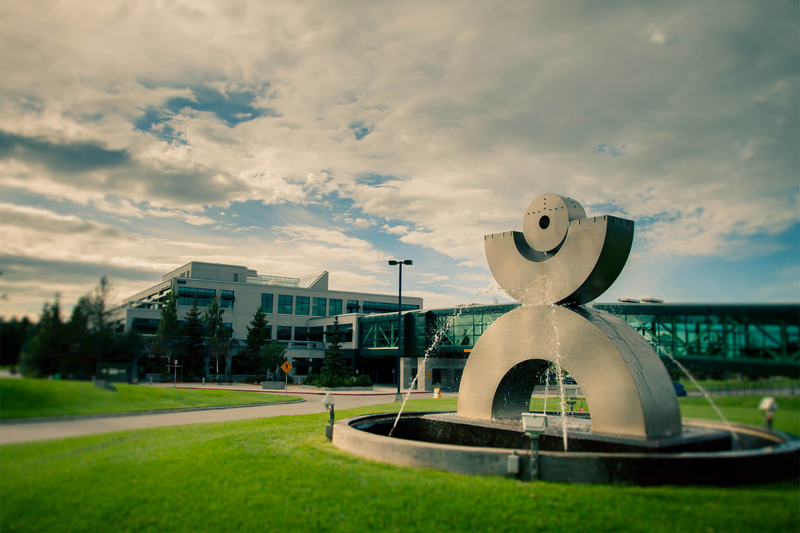 Surrounded by an environment that is both urban and wild, the University of Alaska Anchorage is a gateway to innovative thinking, learning and exploration. UAA is the state’s largest university, situated at the heart of the state’s largest city, with satellites in Homer, Kodiak, Soldotna, Valdez and Mat-Su. UAA students experience hands-on education, in and out of the classroom. PSI/Software Secure provides assessment solutions for any learning environments in higher education, K-12 and certification programs. It is the only full-service test administration company that offers everything from test item creation tools and student authentication to proctoring in any modality, including live, record and review, secure kiosk and testing centers. 450+ of the most recognized institutions turns to PSI/Software Secure to help assure the integrity of degrees and credentials earned online. Anytime, anywhere – any method. Stop by our table for a chance to win a pair of Griffin Headphones. Mirum Learning combines visionary creative services with best practices in the learning sciences to optimize the academic experience for students and faculty alike. We start with best practices in instructional design, educational psychology, and learning architecture, then infuse the learning environment with rich, dynamic media to create an environment in which students are eager to engage with content – whenever, wherever they desire. From traditional desktop access to fully mobile interactions, our technologies are infused with robust analytics layers that help track and predict learning outcomes at a granular level. Amazon Education offers solutions and products for schools who are making the transition to digital education. Whispercast is a free online application that enables organizations to manage and deliver eBooks, Kindle apps and documents easily to most any device including: Fire tablets, iPads, PC, Mac, and Android devices. To find out more about Amazon Education, visit our website and follow us on Twitter. The New Media Consortium (NMC) is a global community for innovation and creativity. We connect people to inspire change that advances teaching, learning, and creative inquiry through thoughtful uses of technology. The NMC Horizon Project, our flagship publication series, explores the uptake of technology in education across variouss sectors including K-12, higher education, museums, and libraries. Through our global and regional editions, we reach over two million readers annually, informing strategic planning for education leaders and policymakers worldwide. Join us at an u pcoming webinar in our Beyond the Horizon series, or learn more about becoming a member. To find out more about NMC, visit our website and follow us on Twitter and Facebook.